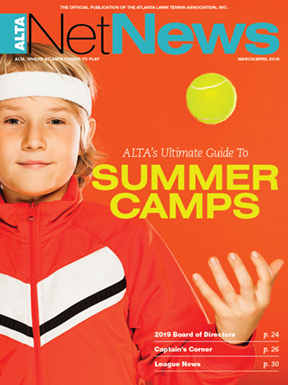 While ALTA members love to play tennis around the metro Atlanta area, summer is the perfect time to load up the car and head to the beach or enjoy a scenic mountain vista — all while still getting in some time on the court. There’s certainly nothing better than playing a match or two with a stunning view. This list of getaways provides endless options for tennis lovers, from round robins and mixers to tournaments and one-on-one instruction with seasoned pros. With this impressive array of resorts and vacation rentals offering a variety of luxury amenities, don’t let the dog days of summer pass you by without planning a long weekend in paradise. Sea Island is an exceptional resort on Georgia’s coast, appealing to those who appreciate extraordinary service and hospitality, enticing families, outdoor and activity buffs and those just wanting to refresh and renew. It is the only resort in the world to have received four Forbes Five-Star awards for nine consecutive years and the only U.S. resort to host a G8 Summit. Tennis options at Sea Island include court time on 16 Har-Tru courts, high-energy clinics designed by Sea Island’s elite teaching professionals, tennis packages with accommodations at The Cloister or The Inn at Sea Island, and a staff dedicated to providing outstanding experiences for individuals or groups. Then there’s the Sea Island Tennis Shop, with tennis fashions, state-of-the-art equipment and racquet stringing. Customized group visits can include clinics and private lessons, competitions, spa services, fitness and nutrition training and access to Sea Island activities. Friday: Arrive at The Cloister and check out the tennis center, just steps from the hotel, with an amphitheater setting for its stadium court. Enjoy a Friday afternoon custom clinic or hitting session, followed by dinner at Tavola in The Cloister, Sea Island’s rustic Italian restaurant overlooking Black Banks River. Saturday: Start your day with an intermediate/advanced doubles clinic or a private lesson with one of our teaching pros. Participants will experience a variety of drills to improve their game from all areas of the court. Transition from the intensity of the court to the fun and relaxation of a service at the Forbes Five-Star Spa at Sea Island, followed by lunch at the Beach Club, overlooking the ocean at Southern Tide. Horseback riding on the beach rounds out the day with dinner at one of Sea Island’s restaurants, which range from casual to five-star. 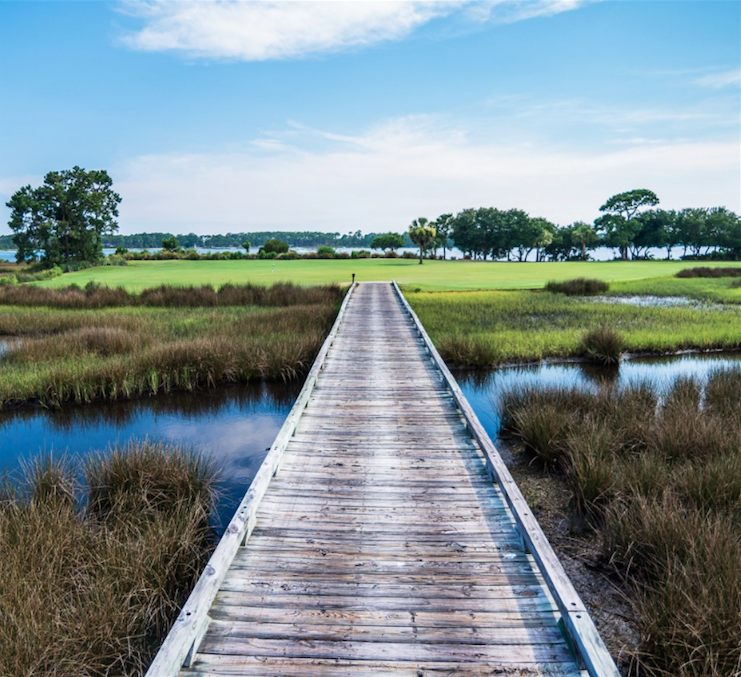 Sunday: You could find yourself as the fourth in a Sunday morning match or you may opt to relax with a walk on Sea Island’s 5-mile private beach. With 15 world-class tennis courts in hard and HydroGrid clay, Sandestin Golf and Beach Resort on Florida’s Emerald Coast is ideal for your next tennis vacation. Surround yourself in the lush greenery, refreshing ocean air and idyllic temperatures for a set at this South Walton tennis resort. Sandestin’s state-of-the-art tennis center includes a beautiful clubhouse, private tennis courts, ladies’ and men’s tennis and children’s offerings, and a convenient shop with the latest styles in tennis apparel. 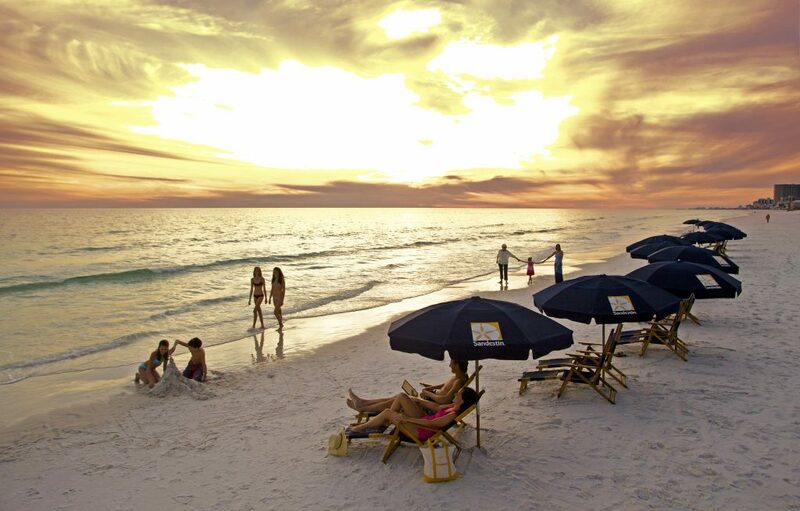 Sandestin offers the most complete resort experience and was voted the No. 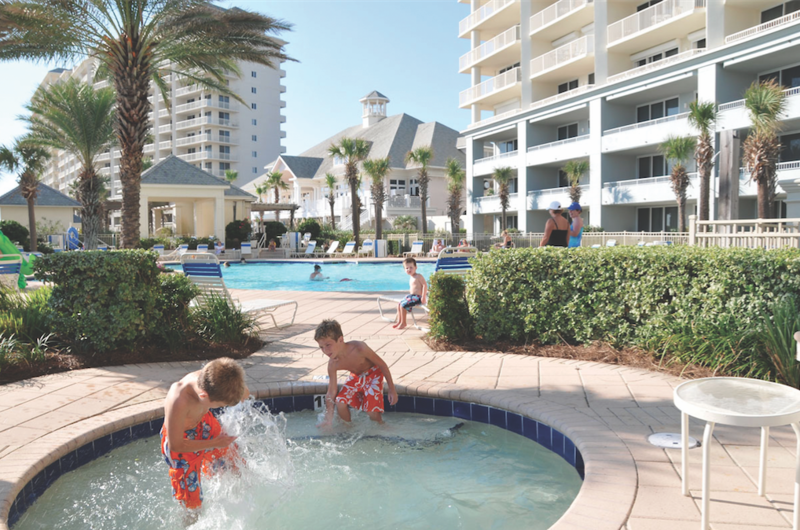 1 resort in Destin by U.S. News and World Report. Enjoy the resort’s world-famous beaches with white sand and warm emerald waters of the Gulf of Mexico and 1,300 deluxe accommodations from the beach to the bay. The resort also features four championship golf courses, swimming pools, 113-slip marina, a variety of retail stores, fitness center, spa, the Village of Baytowne Wharf and so much more. Friday: Take a one-hour adult clinic focusing on doubles strategy and overall techniques while having fun with Sandestin’s animated pro staff. Fine tune your game with a private lesson with one of Sandestin’s USPTA and USPTR tennis professionals. Pair up with a local player for a match utilizing the match service sheet. Go out to dinner at the nearby Village of Baytowne Wharf. Saturday: Take a one-hour adult drill clinic. Right afterward, play in a two-hour mixed doubles round robin with locals and guests from around the country. Walk over to the adjacent Marina Bar & Grill for a cocktail or lunch overlooking the docks at the Baytowne Marina. Come back in the afternoon and enjoy an hour of complimentary court time with your stay at Sandestin. Sunday: Play in Sandestin’s mixed doubles round robin in the morning. Take a lesson or enjoy more court time. Located on an exclusive barrier island, The Ritz-Carlton Key Biscayne, Miami, simultaneously offers a serene sanctuary from swanky South Beach and Miami International Airport, both just 20 minutes away. Home to two swimming pools, a secluded stretch of white sand beach and a luxurious spa, as well as an expansive tennis center designed by the legendary Cliff Drysdale, guests will find no shortage of activity to occupy their screen-free minds. The resort offers a full calendar of guest activities, including outdoor yoga, cycling classes and guided hikes as well as a selection of distinctive locally inspired dining options, including a brand-new signature restaurant, Lightkeepers. Friday: Enjoy a relaxing afternoon by the beach or one of the two resort pools and try a signature cocktail and bites at the sand bar at Dune Burgers on the Beach. Don’t miss trying some of the best guacamole and Mexican food in the area at Cantina Beach, which also boasts an impressive 110 tequila bottle collection. Saturday: Wake up early for a bike ride around Key Biscayne using one of the branded bicycles available on property. In the afternoon, sign up for a tennis clinic at Cliff Drysdale Tennis Center, the largest tennis facility of any Ritz-Carlton worldwide. 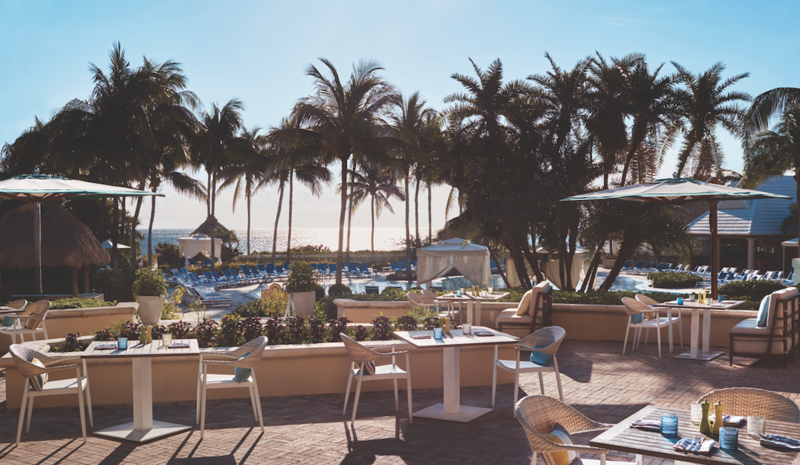 Head back in for a relaxing signature spa treatment at The Ritz-Carlton Spa, Key Biscayne, and end with a delicious dinner at the new signature beachfront restaurant, Lightkeepers. If you’re traveling with kids, be sure to check them into the Ritz Kids program for half- or full-day activities. Sunday: Conclude the weekend with a morning walk along the beach to the Cape Florida Lighthouse followed by a lavish brunch at Lightkeepers. Before checking out, browse the resort boutique for an array of gift and clothing items. 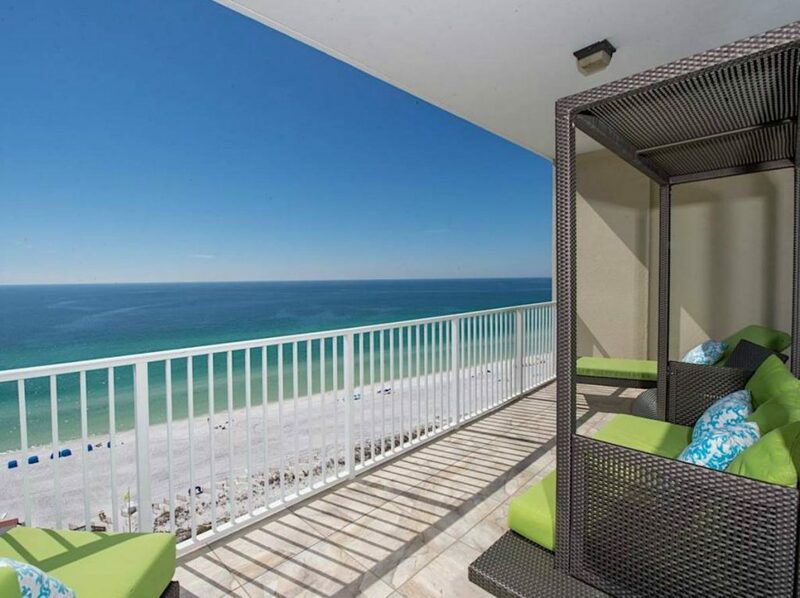 Escape to the beautiful Alabama shores with two locations suited perfectly for those looking to add more swings to their schedule: Turquoise Place in Orange Beach and The Beach Club in Gulf Shores. These exclusive family resorts offer luxurious gulf-front and lakeside views, with accommodations ranging from one to five bedroom residences perfect for everything from a couple’s weekend getaway to a family vacation or a team retreat. Daily family activities and resort amenities offer fun for guests of all ages. Friday: Once you arrive, put your keys away. Everything needed for your perfect family vacation is onsite. The Beach Club’s secluded location offers private, white-sand beaches and complimentary resort activities for the entire family. Walk down to the private, 86-acre beach to see why The Beach Club was named as one of the Top 10 Family Beach Resorts in America by Family Vacation Critic. For dinner, check out one of the four onsite dining experiences. Saturday: Get in the game on one of eight lighted Rubico clay tennis courts, open daily and nightly. Looking to brush up on your technique? Clinics are open to any skill level and are offered to adults and children. Racquet rentals are complimentary to guests. Spend the rest of the day relaxing in the new poolside cabanas or try a different swing on 15 different virtual courses at the indoor, high-definition golf simulator. Sunday: Get in a few more morning matches and visit the onsite bike rental to explore the property. Enjoy a casual gulf-front brunch at Coast, the resort’s signature restaurant that also boasts a great kids menu. For years, Bay Point has been a relaxing destination for couples and families alike, providing memorable recreation opportunities as well as beautiful views of Florida’s St. Andrews Bay. With three beach experiences, including a private bay beach, there are plenty of ways to enjoy the fun and sun. Friday: Check in and then serve it up at one of Bay Point Golf & Tennis Club’s five lighted HydroGrid clay courts. Visit the pro shop to check out the newest equipment and gear, and sign up for a clinic or round-robin during your stay. Those looking to book a match in advance can contact 850.588.8202 or email tennis@sheratonbaypoint.com. Saturday: As part of the resort’s tennis package, guests receive overnight accommodation and one tennis pass per day, per person, so take advantage of a morning on the courts or book a pro clinic or lesson. Cool off on the water with a boat tour of St. Andrews Bay out to the pristine Shell Island or explore solo with jet ski and pontoon rentals. Sunday: Choose your dining experience with one of six onsite restaurants. Flip Flops Pool Bar boasts a relaxing atmosphere with a stunning bay view. Finish your trip by checking out the Serenity Spa or 36 holes of championship golf, including the only Nicklaus Design course in northwest Florida. 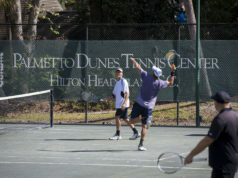 Book your ultimate tennis vacation at Palmetto Dunes Oceanfront Resort on Hilton Head Island, South Carolina, and enjoy tennis court time, lessons, clinics and more daily at the award-winning Palmetto Dunes Tennis and Pickleball Center. Boasting 26 clay courts, five of which are Junior/POP Tennis specific, including six lighted for night play, and eight pickleball courts, the tennis and pickleball center has been named the top tennis resort in the Carolinas by Tennis Magazine. With weekly clinics and drill sessions for youth and adults, daily round-robin tournaments and weekly happy hours and demo days, there’s plenty to keep tennis enthusiasts busy. But world-class tennis isn’t all that Palmetto Dunes, named a Top 25 World’s Best Family Getaway by Travel + Leisure and a Top 25 Resort in the South by Condé Nast Traveler, has to offer; play one of three championship golf courses, bike along the beach, kayak the 11-mile inland lagoon system or explore Shelter Cove Harbour for a great selection of shopping and entertainment. Friday: Take advantage of the Tennis Stay and Play package, which includes four days and three nights in a two-bedroom resort-view villa. In the evening, check out HarbourFest, Shelter Cove Harbour’s free signature summer event, which runs from Memorial Day through Labor Day. HarbourFest features live entertainment Monday-Friday, fireworks on select evenings, plus unforgettable food, arts and crafts and other fun family activities. Saturday: After breakfast at the Palmetto Dunes General Store, enjoy two free hours of court time and a one-hour clinic, covering either the stroke of the day or a daily drill. 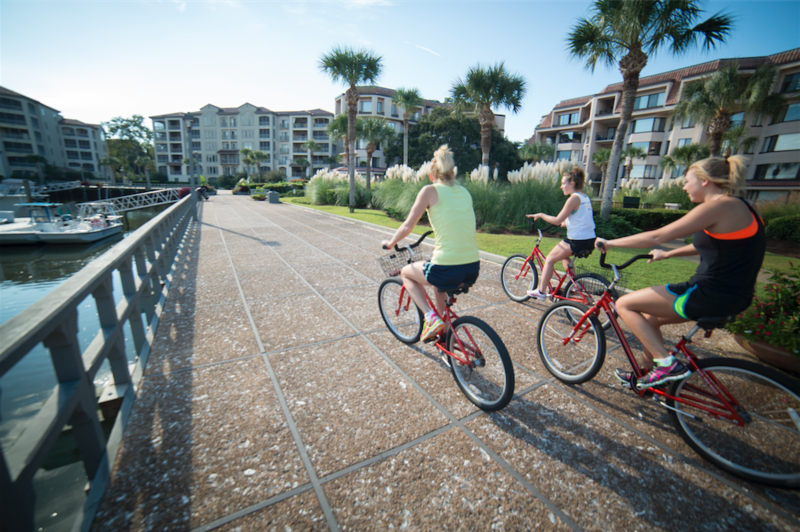 Use your complimentary bike rental to explore miles of paved pathways beneath towering live oak trees and 3 miles of pristine beaches. Then bike to Big Jim’s BBQ, Burgers and Pizza at the Robert Trent Jones golf course for a cold drink and relaxed meal. Sunday: Head back to the tennis center for your complimentary court time and your next clinic, do a little shopping at the 1,800-square-foot tennis pro shop, then have lunch at the beachfront Dunes House before wrapping up and heading home. 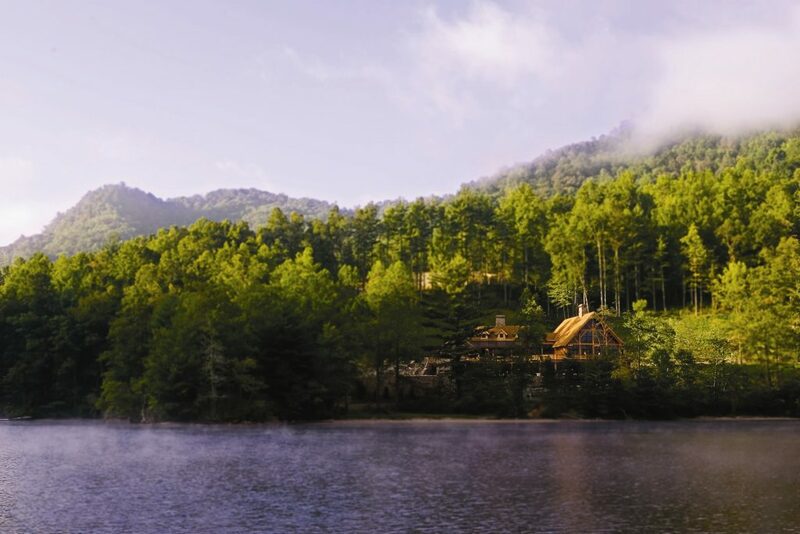 A mere hour from Atlanta, set against the backdrop of the beautiful north Georgia mountains, lies Big Canoe, a gated master-planned community designed to achieve a harmonious integration of the natural beauty of the land with those elements most desired in a resort and residential community. With 10 courts (eight outdoor and two indoor), Big Canoe is an ideal location for your tennis getaway. Take part in one of the many clinic offerings or let the professional staff, led by Matt Motil, USPTA, set up a custom schedule for your group or team. When you’re off the court, you’ll enjoy more than 20 miles of hiking trails, well-stocked lakes for fishing and boating, 27 holes of championship golf and much more. Friday: Arrive at Big Canoe for a 4-5:30 p.m. tennis clinic, followed by dinner and drinks at the Black Bear Pub at the clubhouse overlooking Lake Sconti and the mountains. 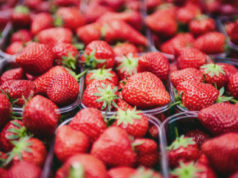 Saturday: Enjoy a morning tennis clinic, then head to the marina for an early afternoon boat rental and a picnic lunch. Regroup on the courts for a 4-6 p.m. team round robin and end the day with a cookout gathering at your mountain rental home. Sunday: Enjoy your last morning tennis clinic and wind down with 12:30 p.m. yoga at the fitness center or lounging at the pool before your quick hour drive home to Atlanta. Located on 52 private acres bordering the beautiful Emerald Coast, this award-winning resort in Destin, Florida, offers the peace of location off the beaten path, yet just minutes away from the area’s best attractions. Tennis Resorts Online consistently ranks TOPS’L in the top 25, ranked No. 11 in 2016, of the world’s Top 100 Tennis Resorts & Camps and a Best Value for the Dollar. TOPS’L was also recently awarded Finest Tennis Club for Finest on the Emerald Coast for 2017. With 12 Rubico clay tennis courts, 10 of which are lighted, and USPTA-certified tennis professionals, it’s easy to understand why TOPS’L is a top tennis resort. TOPS’L has set group tennis packages designed for eight or more players and can customize your tennis package to fit your group’s needs. Friday: Once you arrive at Tops’l, stretch out your legs from the drive with a “Pick Your Stroke” session from 4-5 p.m. Check out the Village of Baytowne Wharf across the street for evening fun and entertainment. Saturday: Kick off the weekend by having some breakfast beachside at the onsite Blue Dunes Grille, then head to the courts for a social round robin 9 a.m.-12 p.m. If you’ve got your children with you, sign them up for the junior clinic sessions. Once you’re done, grab some lunch at Club Tiki and head to the beach. Sunday: Start off your morning at 9 a.m. with our “Play with the Pro Clinic” and then grab a cold beverage and relax at the clubside pool. Charleston is home to five unique beach towns — each one serving up captivating backdrops for your next tennis escape on the islands of Charleston. Wyndham Vacation Rentals offers a collection of private homes and condos on Kiawah Island, Seabrook Island, Isle of Palms and Wild Dunes. 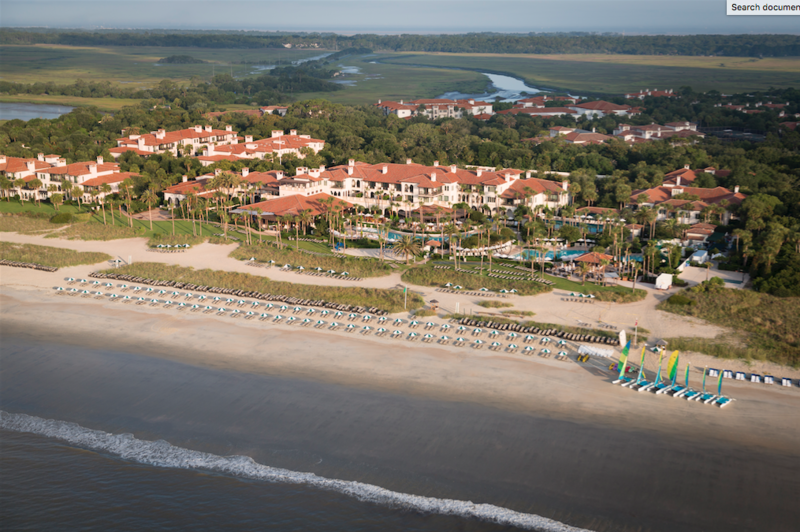 Whether your game takes you to the sunny shores of Seabrook Island’s Racquet Club or to top-ranked tennis resorts on Kiawah Island or Wild Dunes, you’ll find tennis vacation accommodations you’re sure to love. Wyndham Vacation Rentals offer more space for everyone to enjoy after a great day on the tennis court, such as fully equipped kitchens and local, experienced staff to help you every step of the way. Wyndham Vacation Rentals manages a range of properties on Charleston’s Islands, from large, private beach houses to condominiums and townhomes. Friday: Head to your vacation rental home. Stop by a local grocery store to stock your kitchen for the week — you’ll need good fuel for the court. Insider Tip: Use Wyndham Vacation Rental’s mobile app “Glad to Have You” to check in on your smart phone and find helpful tips and area discounts. Saturday: Need a break from the court? Start the morning early with some cereal and coffee in the rental, and then head out for a day trip to the historic city of Charleston. Insider Tip: Make your first stop Glazed Gourmet Doughnuts for an extension of your breakfast! Sunday: Kick off day three with breakfast on your rental’s deck or balcony. Put out a light spread of fresh fruit from the local farmer’s market, yogurt and toast. Brew a fresh pot of coffee to savor slowly. Cliff Drysdale Tennis at Hawks Cay Resort is located in the middle Florida Keys. 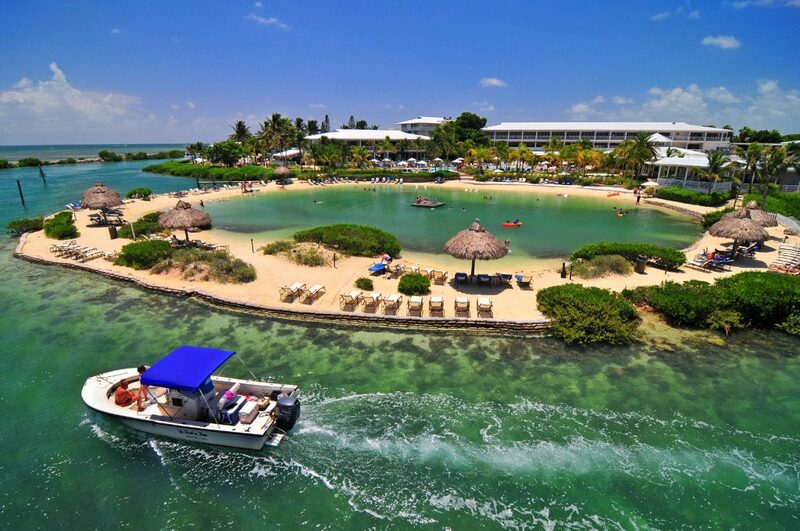 Hawks Cay Resort is a true resort destination situated on the secluded and intimate isle of Duck Key. Located roughly halfway between Key Largo and Key West at mile marker 61, this 60-acre, tropical destination is easily accessible by car, boat or plane yet feels worlds away from everyday life. Featuring eight lighted courts, the resort’s Cliff Drysdale tennis program offers guests a world-class experience with a dynamic synergy of learning, match play, game strategy, team competitions and camaraderie. 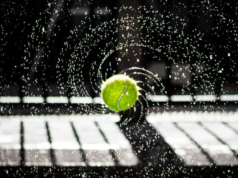 The highly skilled team of tennis professionals, led by head tennis pro Hannah Thomson, offers clinics, mixers, camps and lessons for all ages and skill levels. Friday: After arriving by car or boat, players will want to take the afternoon to settle in and grab a drink to relax by the pool. Saturday: Clinics are held from 9-10 a.m. or 10-11 a.m. while private lessons are available all day with a reservation. Junior players can join a clinic based on age. After a morning of sweating it out on the court, players can grab a bite down the road at Angler & Ale restaurant followed by jumping in the resort pool. Sunday: End the weekend with another morning clinic followed by a relaxing spa session at Calm Waters Spa. 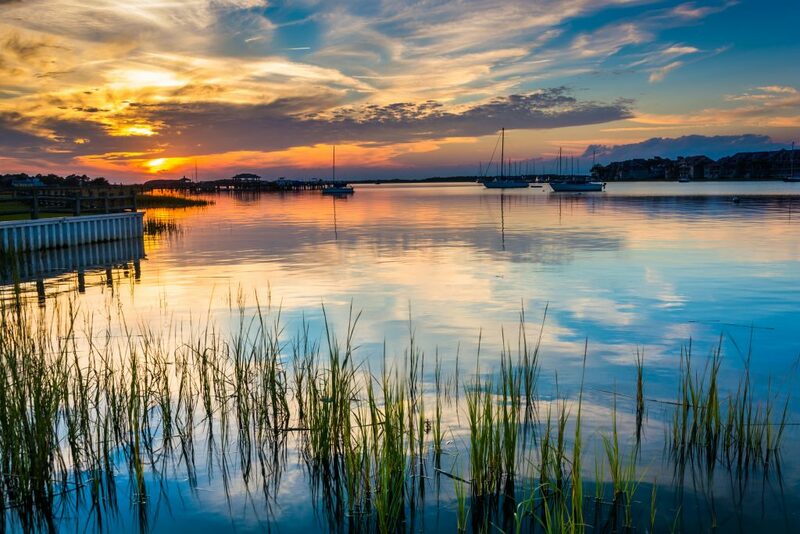 Beautiful Hilton Head Island, South Carolina, is home to the Van Der Meer Shipyard Racquet Club, a top 50 tennis resort. With 13 clay, four hard and three indoor courts nestled among live oak trees, beautifully landscaped lawns and a minute-long walk to the beach, this is a vacation destination second to none. Located next to the Sonesta Resort, a four-diamond, world-class oceanfront resort, Van Der Meer Shipyard Racquet Club hosts weekend clinics throughout summer. The international staff of tennis pros will make you a better, more confident player by the end of the weekend. Bringing along a junior player? The nearby Van Der Meer Tennis Center offers weeklong junior clinics all summer that will raise the level of your junior’s game too. Friday: After an easy morning drive from Atlanta, players spend the afternoon on the court, which includes three and a half hours of play time, a video analysis of strokes and plenty of drills. The day finishes with a welcome party. Saturday: Clinics are held 9 a.m.-12:30 p.m., after which participants are free to enjoy round robins, private lessons, the beach, shopping, spa treatments, golf, horseback riding, boating or a trip to Harbour Town. Sunday: Finish off the weekend with another clinic from 9 a.m. to noon. Along a crystal clear lake amid the Blue Ridge Mountains lies a place of unforgettable vistas and uncompromised beauty. Visitors can experience the pure joys of North Carolina lake and mountain living, with all of the comfort and amenities of a resort getaway. Access to trails, tennis, golf, water recreation, plus gourmet food prepared by Bear Lake’s own executive chef and the distinctly refined comfort of the luxurious mountain lodgings combine to create a relaxing resort vacation to remember. Friday: Check-in to your luxurious mountain lodge accommodations. Make sure to grab your racquet and take advantage of two hours of specialized private tennis instruction. Do you play golf? The tennis discovery tour includes a free round of golf (cart fees not included) for guests to enjoy, courtesy of Bear Lake Reserve. Saturday: We suggest an exclusive tour of the multimillion dollar mountaintop Sports and Tennis Complex Site (breaking ground in 2017) and a guided discovery tour of the Bear Lake Reserve luxury mountain lake resort community. At night, make sure to use your $100 “Bear Bucks” included in the tour that are good toward dining, activities and Bear Lake Reserve gear. Sunday: Make sure to take advantage of the pool, hiking and Lake Club access before you go. If you just want to relax before heading back home, make sure you don’t miss the spa and massage services. Nestled among the north Georgia mountains, Brasstown Valley Resort & Spa quietly redefines the typical mountain getaway — just two short hours from Atlanta and Chattanooga. Picture-book spring times, breezy mountain summers, colorful autumns and mild winters mean there is always something fun to do at Brasstown Valley Resort & Spa. Resort amenities beckon visitors to explore the beautiful surroundings and experience exceptional accommodations, two dining venues and a wide range of activities for the whole family on 503 acres, including a championship golf course, four tennis courts, fishing, outdoor and indoor heated swimming pool and a state-of-the-art fitness center. Outdoor enthusiasts and nature lovers can hike the nearby Appalachian Trail, enjoy white water rafting, tubing, kayaking, guided lake tours, horseback trail riding and bird watching. Friday: When you arrive, make sure to check out the scenic views from the Mountain Lodge before heading down to Brassies Grill for some refreshments and friendly games of pool and darts. At night, go out and enjoy The Dining Room for the Seafood Lovers Buffet. Saturday: Start your day with the Majestic Mountain Breakfast. Later, visit Equani Spa for a relaxing and restorative body massage. For dinner, you may want to relax at the resort enjoying the Saturday Night Prime Rib Buffet or travel to one of the nearby mountain communities to enjoy local culinary choices. Sunday: Start off with a spectacular Sunday brunch. 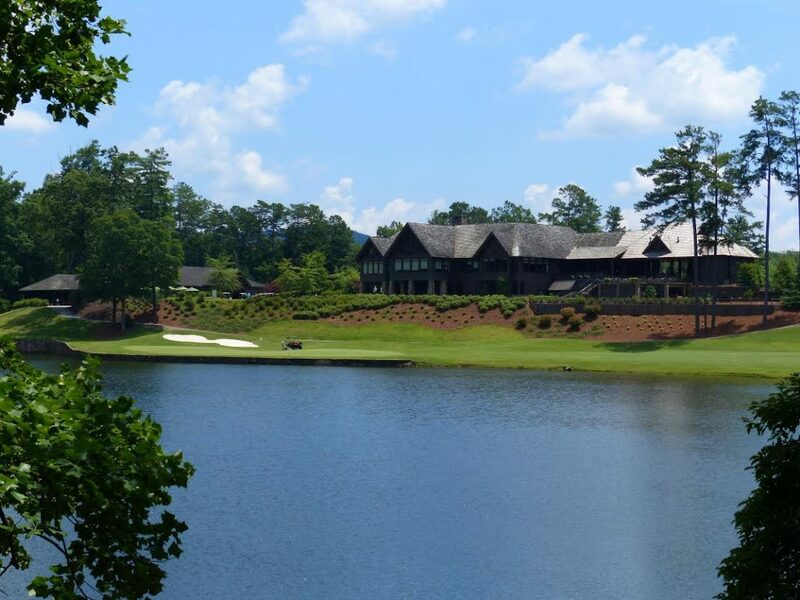 After your match of the day, you may have time to play a round of golf at one of Georgia’s top courses or go horseback riding at the stables. There’s no better way to experience the Brasstown Valley surroundings than on horseback.